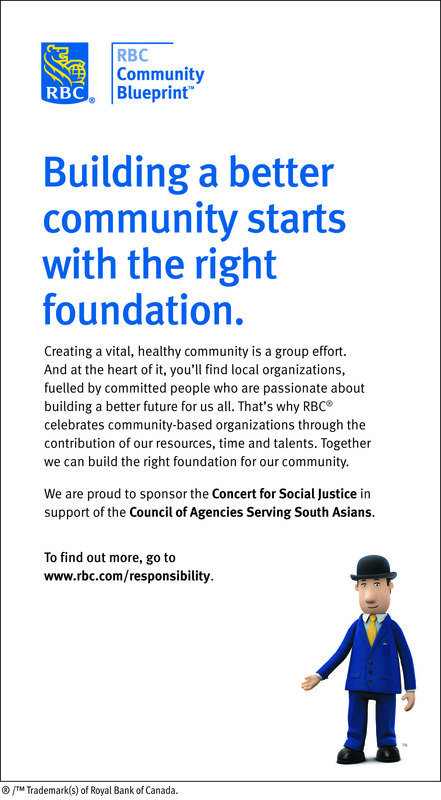 Council of Agencies Serving South Asians (CASSA) cordially invites you to join us and Sponsor this year’s Concert for Social Justice 2013. All proceeds from the event will be used towards the Racism Free Ontario campaign: http://www.racismfreeontario.com. RBC Royal Bank has joined us as Title Sponsor: Thank you RBC.